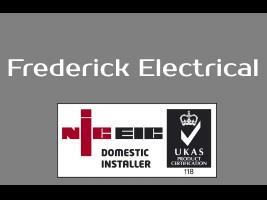 Frederick Electrical - Electrician based in Worthing, West Sussex. Established in January 2014 and with over 10 years experience in the electrical industry, James has a list of satisfied customers who are more than happy to recommend him to their family and friends. All Works Guaranteed, NICEIC Registered Part P Approved.